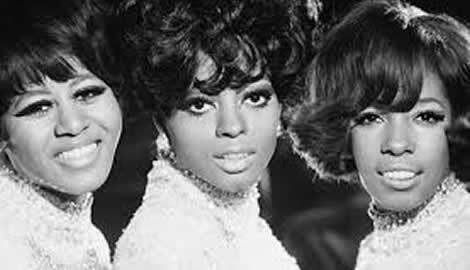 Capitol.fm powerplay ‘I hear a Symphony’ a No 1 hit record from the legendary Motown band The Supremes from 1966. In regular surveys, Diana Ross comes out as one of the all time favorite artistes on the World Station. The song is from one of the greatest times in the story of the music and indeed radio business. The girls from Detroit were introduced to Motown Records and the legendary founder Barry Gordy by Smokey Robinson. They visited the Motown Studios every day after school and when they left school, got a record contract and formed The Supremes. It took a few years to become the No. 1 hit machine that they were in 1965 and 1966 but during that time, the young ladies helped out at the studio sessions helping other artistes. When ‘I hear a Symphony’ hit the Number 1 spot on the Billboard Top 100 in 1966, The Supremes were big time, mainstream and expertly managed by the Motown boss. Capitol.fm loves Motown, The Supremes and Ms Diana Ross. These pages will hear a lot more about all three. Today, we just powerplayed ‘I Hear a Symphony’ which was one of a string of hits for the first and best selling version of the Motown band. This comprised of Diana Ross, Florence Ballard and Mary Wilson. The story of The Supremes is immortalised in the hit musical Dream Girls also produced as a movie. What is often overlooked is the sheer determination of these young girls who haunted the Motown studios near their school in Detroit until they first got a deal. Later, in the early 1960s when their songs didn’t quite take off, the girls improvised and helped out other Motown Stars learning the music business, their trade and craft from the best in the business. They were originally introduced to Motown and the legendary Barry Gordy by another Motown star, Smokey Robinson. It payed off. The band eventually began to achieve chart hits. By 1966, they were regularly hitting to top of the US Billboard Top 100. Barry Gordy, the inspirational and non nonsense boss of Motown Records took the band and made them mainstream stars performing at famous clubs such as The Copacabana. They also came in for criticism during this time for being too mainstream. This came from black political activists at the extreme fringes of the civil rights struggle. The Supremes became an integral part of the Motown legend and the sound that helps power Capitol.fm, your world station, today. ‘I hear a Symphony’ was a No 1 hit for the The Supremes at the end of 1966. It was joined there by other huge smash hitz such as ‘You can’t hurry Love’ and ‘You keep me hanging on’ which are all on the Capitol.fm playlist. The song came a year after the band had the huge hit ‘Baby Love’ which was also a Grammy award winner.